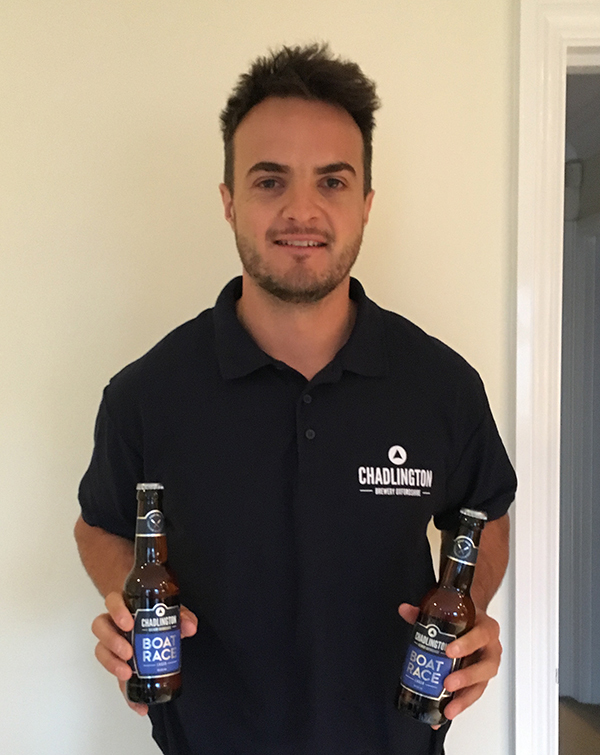 Jack Brooks, current professional cricketer with Somerset CCC, has joined up with Chadlington Brewery focussing on Community, Brand and Marketing development. Jack, a fast bowling all-rounder, is in his 11th year as a professional cricketer and has his roots firmly planted within Oxfordshire, having grown up in Tiddington and learnt his trade with Oxford Cricket Club. After excelling for Oxford CC, he was selected to play minor county cricket for Oxfordshire in 2008 and after impressing, joined Northamptonshire CCC, making his first class debut against the touring Australian party. Soon becoming infamous as the ‘Headband Warrior’, Jack joined Yorkshire in 2012 and at the end of last season clocked up the impressive feat of his 100th first class match. Chadlington Brewery is located in the heart of the Oxfordshire Cotswolds and is the first team sponsor of Oxfordshire County Cricket. The team take their inspiration from the glorious Oxfordshire countryside and make their beers using the finest English hops and natural ingredients. Chadlington Brewery is known as ‘The Oxford Beer’ and the Brew Crew team are passionate about their support of Oxfordshire sport.